Valentine’s Day is a day for love and affection. Flowers, heart-shaped cards, and bright red stuffed animals are all staples of Valentine’s Day that can be shared with loved ones of all kinds. The most popular gift option for Cupid’s holiday is one that dentists don’t love, however, which is candy. Whether is it chocolate or sticky sweets, Valentine’s Day is full of cavity-inducing treats that can mean more work for your dentist and more time in the chair for you. This year, try some sweets that won’t put you at risk for tooth decay! Here are some fun recipes you can try for Valentine’s Day. Can’t skip the heart-shaped box of chocolate for your sweetie? Don’t worry, you can still offer an indulgent treat, just switch the traditional milk for dark chocolate! Not only is dark chocolate packed with antioxidants, but it can also have less sugar than milk or white. Charcuterie plates can be an elegant party spread and can suit many dietary preferences. 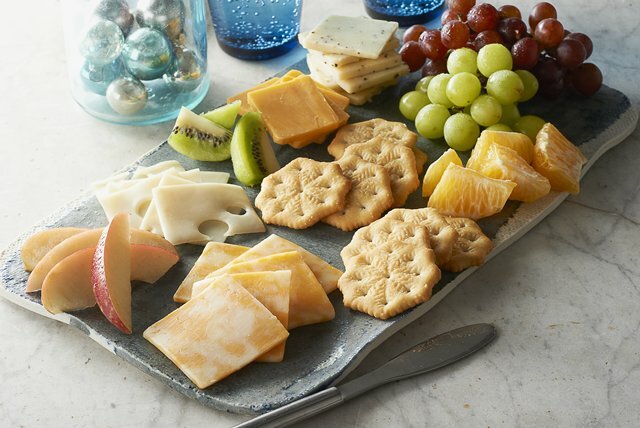 Instead of a bowl of candy or those chalky candy hearts with cute sayings written on them, set out a plate of cheese and crackers for your guests to enjoy. Instead of cookies, use those heart-shaped cutters on fruits like melons, apples, kiwi, and more. Pick an assortment of your choosing and arrange them into heart shapes using a knife or a cutter and some toothpicks whenever necessary. For example, you can create a grape or tomato heart by slicing diagonally and holding the two halves together with a festive toothpick. Can’t live without your milk chocolate fix? That’s fine, too! Just be sure to eat your treats in moderation. Another great way to enjoy chocolate without feeling too guilty is by incorporating fruits into the mix – and chocolate-covered strawberries are a great addition to any date. Melt some white and milk chocolate into bowls and lightly dip strawberries (or any berries of your choice) into the chocolate before setting them on a parchment-lined sheet tray to cool. Whether your kid is gearing up for a weekend filled with Valentine’s Day festivities, or you are hoping to share something sweet with a special someone, it is essential to be mindful of your dental health when indulging in dessert-filled holidays. Here are some tips you can follow to help ensure that, even if you sneak a treat from your child’s stack of V-Day cards, your dental health won’t suffer. Don’t drag it out. If you are going to be eating chocolate or helping yourself to a candy heart, be sure to enjoy your treats all in one sitting. Now, that’s not to say to indulge in a whole box of chocolates – stick to the suggested serving size or smaller – but rather than you should have one here and there throughout the day. Limited exposure time to the sugar in these sweet treats means less damage to your teeth. Avoid sticky sweets. Another way to reduce your risk of tooth decay from Valentine’s treats is to stick to desserts that don’t stick to your teeth or require an extended amount of time in the mouth, like lollipops. The sugar can make its way into hard-to-reach areas that can do more damage the longer it is there. Drink water. After a treat, drink water. Avoid sodas and drinks with sugar or acids in them, as this can erode your enamel. Chew sugar-free gum. If you have a craving for more candy, or just want to help freshen your breath after a treat, try chewing a stick of sugar-free gum. This also helps to dislodge any lingering sugars or food particles left behind. Prevention is the best approach when it comes to tooth disease and decay. Aside from regularly brushing your teeth and being mindful of what you eat and drink, visiting your dentist twice a year can help you to ensure optimal dental health. Plus, you can bring your whole family! Acosta Dental Arts, PA offers children’s dentistry services, with a variety of cosmetic and restorative treatment options for all ages. Contact us today for your Free Smile Assessment!